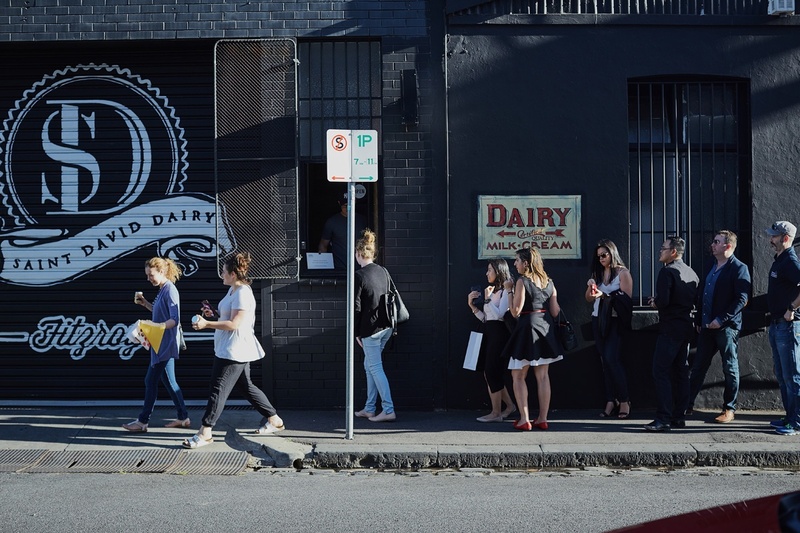 St David Dairy's grass-to-glass approach has seen Melbourne's only micro-dairy become one of the most sought after brands in the city. Their explosive growth has meant St David Dairy turned to Ordermentum to streamline a number of business processes. You'd be forgiven for not realising that nestled on a quiet street in Melbourne's Fitzroy, surrounded by trendy warehouses, restaurants, boutique fashion outlets and street art, is one of the city's most popular dairies. Born out of a passion for great quality, ethical production and sustainability, St David Dairy has taken Melbourne by storm. St David Dairy is Melbourne's first 'micro-dairy' and takes all aspects of its production seriously - especially food miles. "The market is changing a lot" said CEO Mancel Hickey. "Nothing against the big companies, but [people] want to know where their products are from." 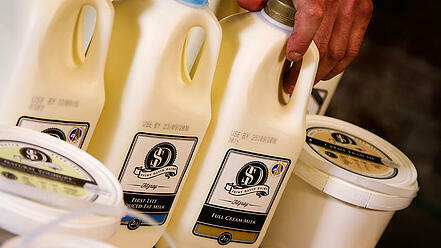 All milk is sourced from a single farm 100km from the factory door in the rolling hills of Gippsland. Their Award-winning milk is brought to Fitzroy each day by their own mini tanker where it is completely process and packed onsite. "One of the key focusses of the business is sourcing our milk from a single origin." Started as a family business just five and a half years ago, the dairy is now producing over 80,000 litres a week, and has diversified its range to creams, buttermilks, yoghurt, cultured butter. Their quality product offering has landed it on the menus of the best restaurants in the city, supplying the top 100 restaurants and top 100 cafes in Victoria. That level of growth hasn't come without challenges. “We had a system before that was probably alright for the first couple of years, but because our growth was so strong, we wanted to go to the next step" said Hickey. Knowing they needed a new system, Hickey embarked on a 3 month journey to find the right tools to expand his business and be able to service so many customers. After all, St David Dairy deliberately doesn't use sales reps - the people are the phone are the people making the milk and driving the trucks, which gives the customer service experience they are after. "One of the things that did sway us is that a lot of our customers used Ordermentum." Talking to customers, Hickey realised a big advantage was to use the system they were already using to order from. This meant it was incredibly easy to roll out, they were used to the process, and already had a tool in the palm of their hands that meant they could quickly and easily click and order from. "We didn't want to have 20 different apps" said Hickey. So they investigated Ordermentum. "Our customers love the ease. They can get on their phones, tablet, computer, place and order and it's done. They can see the price, the units - it's like Uber." From the business perspective, St David Dairy have needed a few modifications to suit their processes, which is all part of the package when working with Ordermentum "We joined as a team, together." Those processes included instant reporting, which as all run through Ordermentum to give live, automatic snapshots of all aspects of the business, which even includes the routes for the delivery trucks the next day. Everything is zoned so they know which trucks do which runs. Cashflow is another big area that has been totally streamlined, as customers pay via the platform. "It does improve our cashflow a lot. It's very healthy on a weekly basis now. Ordermentum is so simple, it gives us a snapshot of who has and hasn't paid right away." "It's a superior business... It makes your business smarter and it makes it more profitable going with platforms like Ordermentum."